Designed by MIL and Kamov. Our instructors provide detailed training in Russia or at your base of operations. Supported by manufacturer's guarantees and warranties. •	Only AVIA has a proven sales record and the manufacturers written authorization. •	Only AVIA can provide guarantees to our customers supported by the manufacturers written assurance. Avia sells helicopters and related services to operators on the global market. We are dedicated to quickly and cost-effectively responding to our clients’ needs while delivering on quality sales and service support. We provide and support helicopters that are known for their reliability, advanced technology, and increased passenger and payload capacity. Avia provides "only" manufacturer-authorized & certified parts, maintenance, repair, and training. Our helicopters support a wide variety of civilian aviation uses, including mining, oil & gas operations, forestry, security, medical, police, search & rescue, and firefighting. In addition to offering standard versions, aircraft can also be customized or modified to meet each client’s unique needs and requirements. Contact us for a commercial offer or to discuss an opportunity. 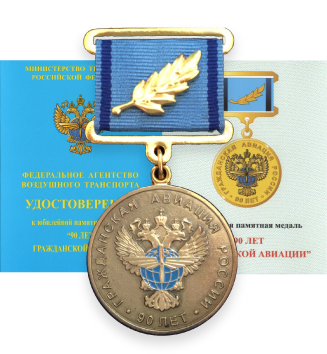 In 2013 Avia was awarded with the 90 year Civil Aviation Medal of Honor from the Russian Ministry of Transportation. The award is the highest commendation from the ministry and was awarded for our contributions towards the civil aviation industry in Russia and abroad.